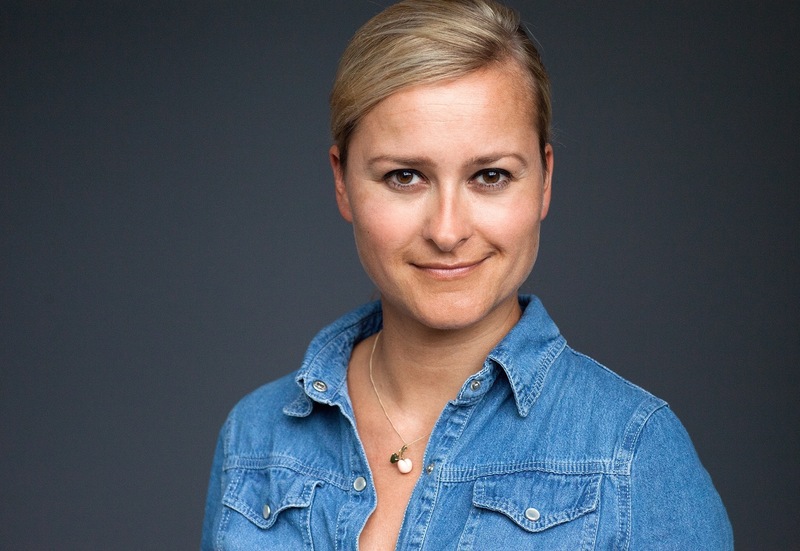 How a handbag designer can contribute to slow fashion. Ad | I came across Amâna Design’s profile by reading the article: „The art of buying less“ written by the founder of the brand, handbag designer Elzane Ludeke. I immediately liked her clear statements about designing sustainable fashion items and living a sustainable lifestyle. Elzane, you already positioned yourself as a handbag designer with strong statements before your handbag collection is even on the market. Why? True, I have not yet launched my new handbag collection, which I started merely 6 months ago, but I have been in the handbag industry since 2014, and I am extremely passionate about it. In the last couple of years, I’ve had the privilege to work with amazing companies and work on projects for international brands such as Michael Kors, Kat van Duinen and other local South African brands as well. During this time, I also did a lot of research in the Luxury Leather Goods Market in South Africa and wrote two case studies on my findings for the companies I worked for. In 2016, I was approached to set up a leather handbag brand based in Namibia, designing and manufacturing everything from scratch and training the staff from beginners level. This was a great challenge and opportunity for me to learn every aspect of the business, from production to sales to getting the right suppliers. Being in such a position since the age of 25 gave me the confidence to take the leap into my dream of starting my own fashion label. What does a conscious approach to fashion mean to you as a handbag designer? As a handbag designer, I aim to focus on the timelessness of design, as well as the durability of the materials making up the design. 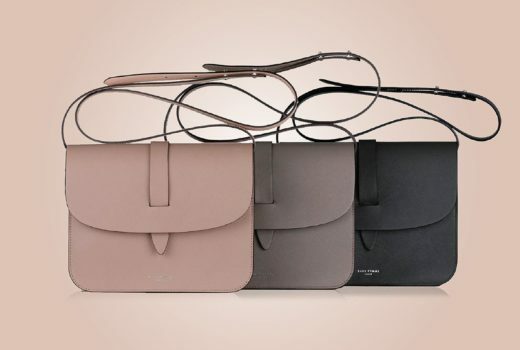 I look at classic shapes of handbags and neutral colours that would compliment almost any outfit, season and trends. 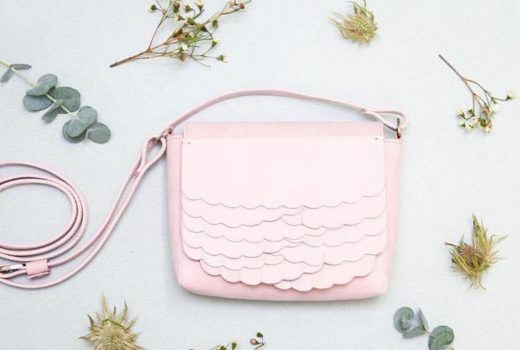 For me, personally, it’s all about having one functional, practical bag which lasts for years, instead of having to buy new ones appropriate to the current season. Slow fashion is no new matter, but there are still people out there wanting to make a difference and live a more sustainable lifestyle, yet all they think about when hearing sustainability is recycling of plastic and reducing CO2 emissions (which I mean, nobody really knows how to do except replacing your car with a bicycle). We need to influence how people think of sustainability, that it is not just about throwing trash into the correct recycle bin, but that it involves all other aspects of your life, even your wardrobe. I want to create a new way of seeing the value of high-quality products and to keep the interest in that product long enough to justify its production. I was introduced to the #30 a while back, where before buying an item you have to see yourself wearing it more than 30 times, if not, then it won’t justify the production of that item. Every bag or item that I design, I apply the #30 rule too. You definitely say „yes“ to leather. Why? As mentioned in my article „The Art of Buying Less“, leather handbagseems like the more sustainable answer to me. Yes, there are literally millions of people who will disagree with me, but I grew up in Namibia, my father is a cattle farmer and I was exposed to the meat industry from a very young age. Leather is definitely a byproduct of cattle farming, there is no doubt about that. Never will a cow just be slaughtered for its skin (which is worth less than one fourth). While this is only applicable to bovine and small stock leather, I have also researched the depths of exotic leathers, such as crocodile, python, and lizard – this is a business on its own, strictly regulated by laws and regulations. 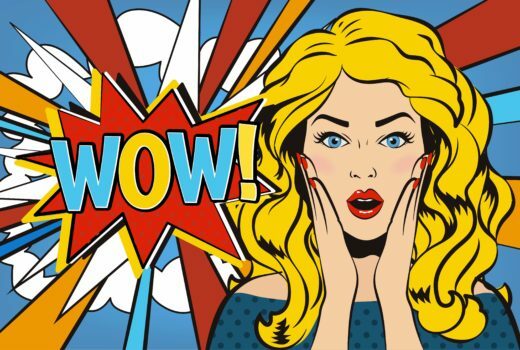 People are quick to conclude that PVC is better since no animals were harmed, but how many people were harmed during the production of PVC leather? The effects on the environment producing PVC is tremendous, never mind the after effects it has for years to come. Genuine leather is also more durable and will last much longer than PVC. This is exactly what we should be looking at when making that buying decision to live a more sustainable lifestyle. 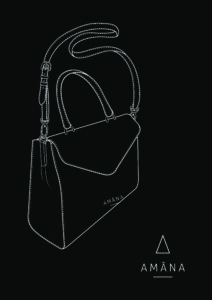 How transparent should a handbag designer be today in terms of sustainability? Customers are becoming more informed and starting to ask the right questions when it comes to sustainability. 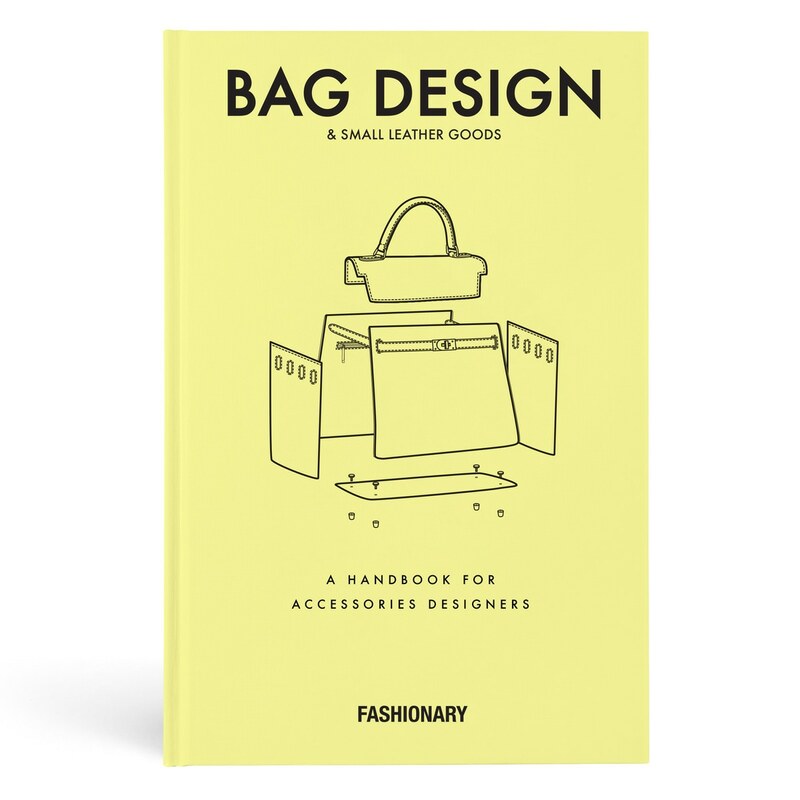 It’s best that the handbag designer is well informed on the processes, materials, and labour going into their own products. I aim to do in-depth research on my suppliers, including factory visits and tracing the leather before launching my collection. The traceability of leather has also become more possible in the last couple of years, especially in the exotics trade. For example, each genuine crocodile leather handbag has a tag with all the information of that specific animal, including its origin and date of hatching (although this information is probably not necessary for the customer). I believe the more transparent a handbag designer is with their clientele, the more trust they gain. This is extremely important when wanting to build a loyal customer base who believes and promotes your brand and product. Also, it feels good to have nothing to hide. Please tell us more about your handbag collection. What will it look like, how does it function, when and where will it be available to purchase? 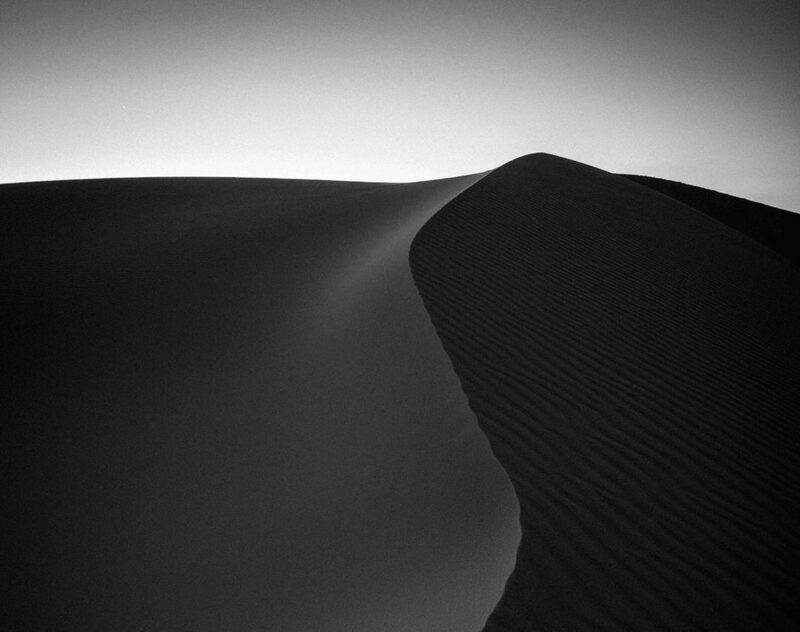 It is inspired by the power of simplicity and minimalism, consisting of a range of classic shapes and simple, strong lines. When it came to naming the products, I realized that each design was inspired by women who had a tremendous influence on my life. All the names are of French origin, which also subtly compliments the simplicity of the styles. 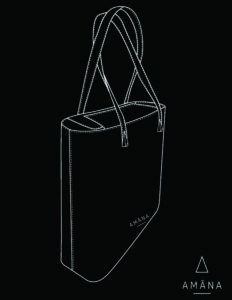 The Maida bag is a classic work bag, inspired by my grandmother who was extremely sophisticated and elegant. The Maggie is a fun, outgoing crossbody bag for a quick trip around town and a night out. She is inspired by my late mother, Margaret (mostly referred to as Maggie), for the life and endless energy she used to exert. Mae (full name Charmaine), is my sister and a life-long friend who continuously motivates me to do better. The Mae is a bucket bag, practical, large enough to carry everything you need and stylish, yet simple. Lastly, everyone needs a tote bag named Jeanne. Jeanne is one of my best friends who has had a stupendous impact on the person who I am today. She is my pillar and my structure. 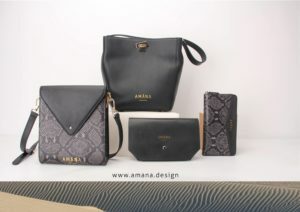 The first range consists of a dark colour palette of black, dark grey python print (still bovine leather) and more black leather. It is finished off with light gold or nickel hardware which places emphasis on the sophistication of the range. 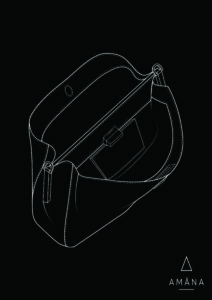 In terms of functionality, there are interior pockets to accommodate your cellphone, your iPad and valuables. Living in Africa, I always made sure that safety comes first, so main closures, zip pockets and inside pockets will always feature in my handbags. I aim to infiltrate the Namibian and South African market in the beginning, attending trade fairs and selling in existing retail stores. Once my online shop (it will be under www.amana.design) is running in Southern Africa I will attempt the same process in Europe. So stay tuned. 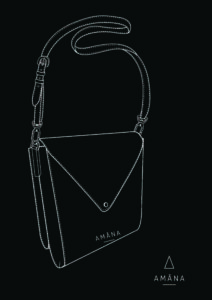 More information about Amâna Design and its handbags is available on Instagram.